The 2016 Euros has swept the entirety of Europe with all 24 countries whipped up into a football frenzy. You'd think that our favourite moments were England's victory against Wales, Gareth Bale's impressive top knot and all the creative chants. But no! It's David Guetta and Zara Larsson's collaboration of course! 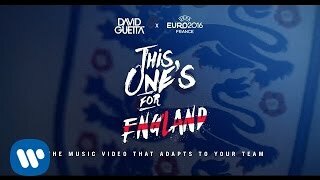 The duo have released a different version of their new music video for every single country in the tournament! We're loving Zara Larsson's gorgeous outfit cut in with a load of football! It is literally THE dream.